Whether you are just starting to learn golf or have been a pro for a long time, you will know why golfing in Branson is not just an exciting outdoor activity to enjoy the day, it is also a great way to meet new friends and it can also help improve your swing. In reality, there are still many golfers who are adjusting on their swing. One of the reasons is because they’ve not perfected their swing yet. There’s always tips to help you avoid slicing on your swing. When avoiding slice on your swing, try this first. Hitting a big, weak slice is not fun. It may rarely travel very far, and they’re hard to control, especially when there’s the slightest breeze or you’re playing in fast and firm conditions. That’s the number one problem for most amateur players. When they try to cure their slice, it often gets worse because they don’t have the proper know-how to manage the movement of the ball and start hitting straighter tee shots. One of the most common mistakes seen in amateurs who can’t avoid slicing is improper aim and alignment. The most important way to get rid of a slice is to stop opening your stance. Doing this will force a swing path that can cut across the ball from outside to inside the target line, adding more slice spin. To avoid this – square your shoulders so they’re parallel to the target. As for your feet, they should appear square, or even slightly closed to encourage an inside-to-outside the target line path. Aiming to the left causes you to slice because many slicers think they’re aiming to the left, when actually they aren’t. When you set up and open your stance, you’re actually moving the ball back in your stance. When you don’t lose the clubface, you’re in a position to hit an even bigger slice. When talking about your grip, it may seem a bit counterintuitive. 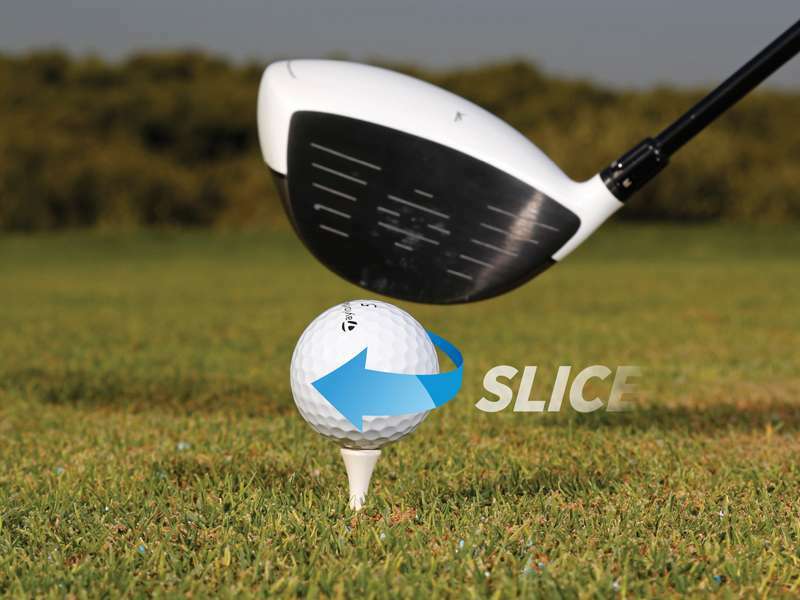 To avoid slicing, the more you turn your hands to the right, the more inclined you to start hitting your shots straight, or even a little to the left. This is sometimes referred to as a “strong grip.” This may not be the correct term. It may be called “active grip,” since many think a strong grip means gripping the club firmly, with a lot of pressure. But the firmer you grip it, the less your wrists will roll and close the face through impact, so it’s not advisable to do this. Position your hands and maintain a firm, but supple, grip pressure. Don’t get so intense, let the position of your hands do its job and make your hands more active during the swing. In this way, you’ll be seeing fewer slices right away. The next time you find yourself golfing in Branson and still struggling with a slice, concentrate on where the clubhead is after impact, not before impact. This will help you swing more freely and help you avoid slice on your swing.